Do You Need a Appliance Installation Plumber? We are your local certified Plumber. Call 1300 668 834 for same day service. At Inner City Plumbing our plumbers are highly experienced in the installation of new and old appliances. So if you are renovating, moving house, or simply wish to install a new appliance or move an existing appliance give us a call and we will be able to help. Do you in need a installation Plumber? Inner City Plumbing can service you at any time. Our licensed and skilled plumbers will attend your location at any time of the day. We service our clients 24/7 year round. No matter the time of day or night, you can call us. Our plumbers are reliable, efficient, speedy and always professional. Customer service is something we pride ourselves on and we are second to none. We are your local appliance installation plumber Melbourne. Call us now on 1300 668 834 to have a plumber visit you within the hour. As we are truly local plumbers we offer all the services you need. Get in touch with us right away on our 24//7 number 1300 668 834. Our friendly appliance installation plumber will be able to answer any questions you have over the phone. Many people think a handyman has enough skills to install a dishwasher correctly. This is so wrong. An appliance installation plumber can can the do done quickly without voiding your warranty. Doing it yourself you could run the risk of causing further damage or incorrect installation.This could cause higher repair costs and more issues down the track. An appliance installation plumber can ensure this does not occur. Plus we are open 24 hours a day, 7 days a week for your benefit and service. We are your local appliance installation service in Melbourne. For any Gas Stove installations call on your local appliance installation plumber to handle the job. We specialise in gas appliance installations in Melbourne. With the right experience, we can assess your problem quickly. 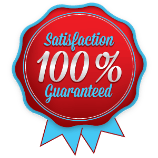 We guarantee that an installation plumber will be at your door step quickly! The installation of your gas appliance requires skill and experience. The last thing you want to do is book another appointment for a plumber to visit you again if the job is not done right the first time. So when an appliance installation plumber rolls up, their vehicle is equipped with just about everything they need to get the job done right. So call 1300 668 834 for one of our installation plumbers to visit your location today. 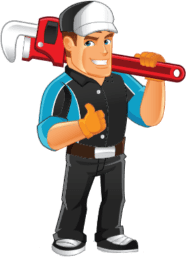 When you need a 24 hour installation plumber, you want to be sure that the appliance installation plumber you are calling can arrive quickly and complete the job. Inner City Plumbing can easily respond to a appliance installation in Melbourne. We we have over 20 years of experience in taking care of Installations in Melbourne and know how diagnose a problem quickly. Our 24 hour installtion service can take care of your problem quickly. For all your appliance installation needs in Melbourne and surrounding suburbs including dishwashers, Gas Stoves, Heaters, Water Filter systems and other appliance installations, call Inner City Plumbing on 1300 668 834 for rapid response.